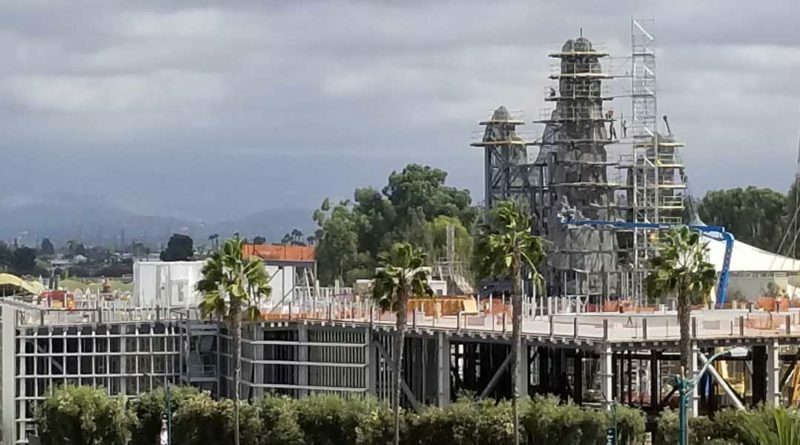 No real visible progress on the concrete building. 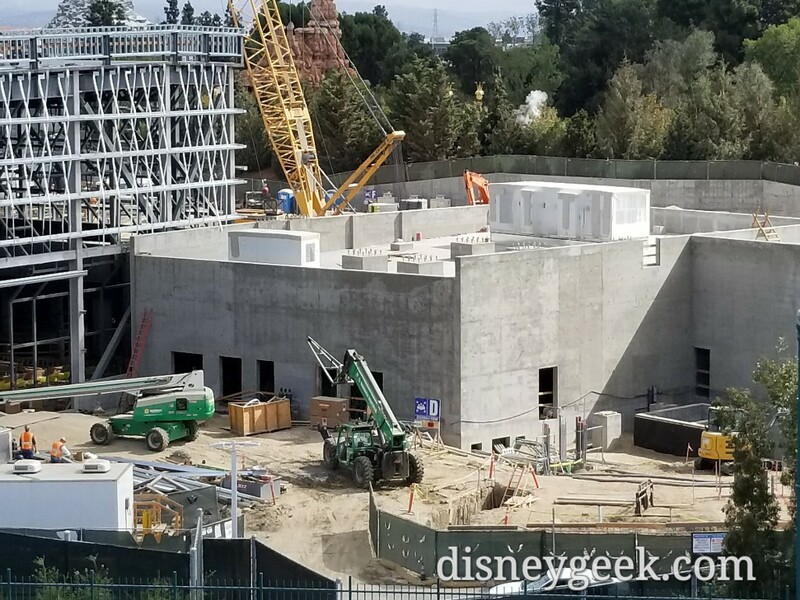 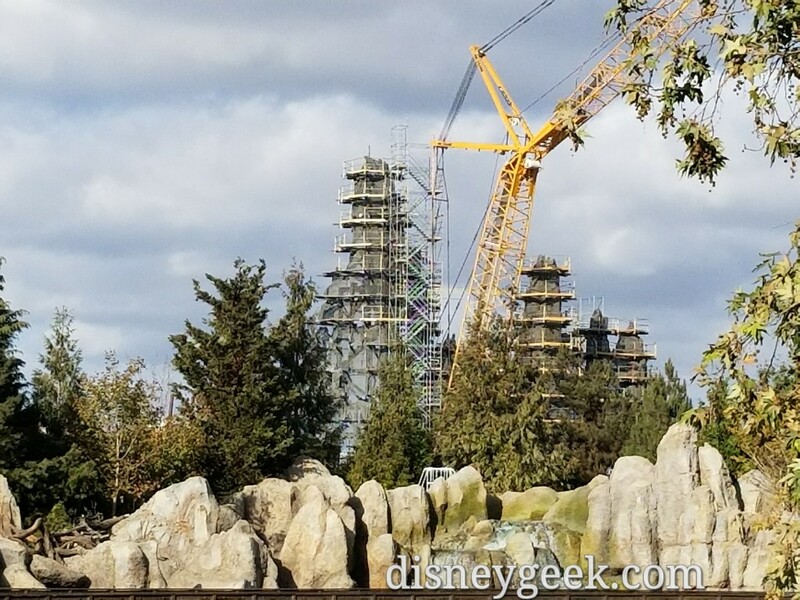 The hanger portion of the Battle Escape building has more forms and preparations for the floor to be poured but no signs of concrete yet. 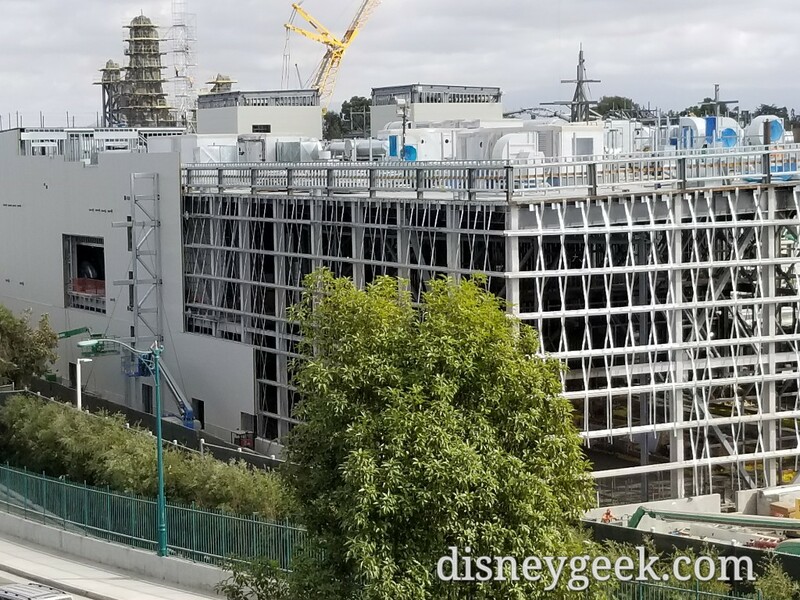 The exterior wall preparations look nearly complete too. 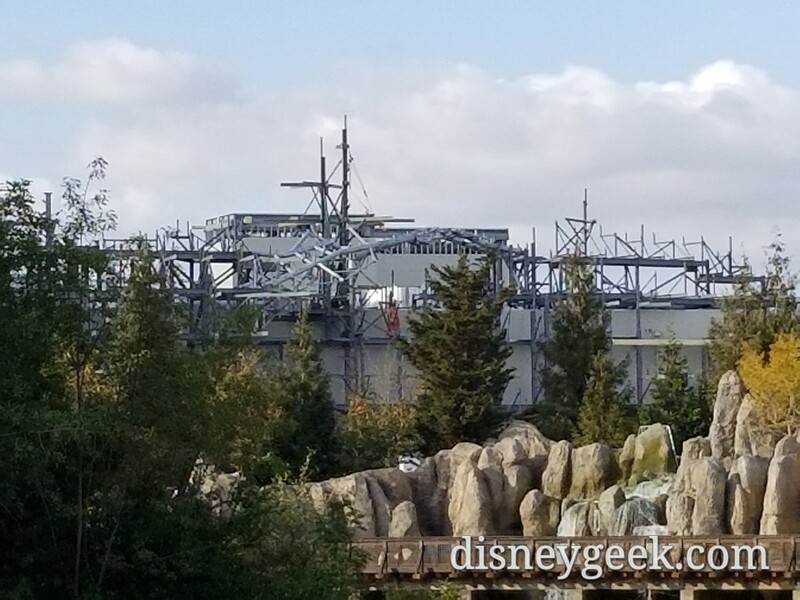 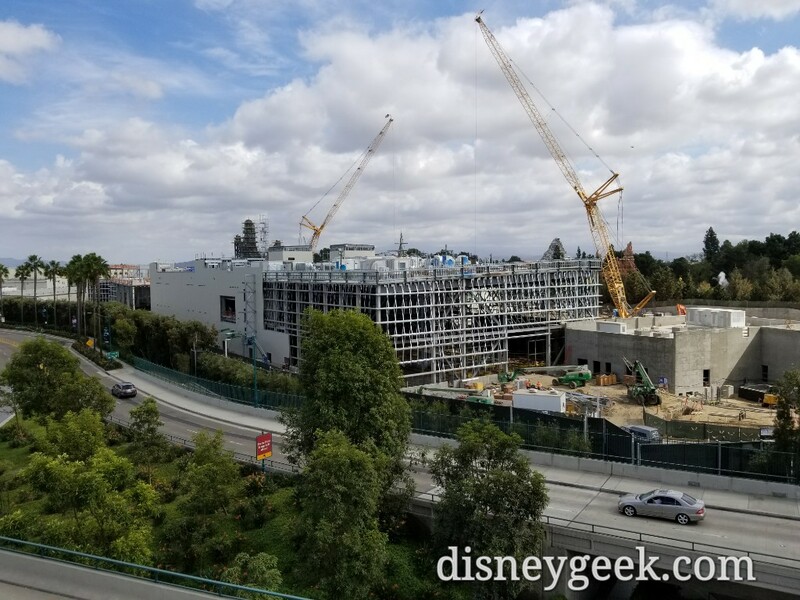 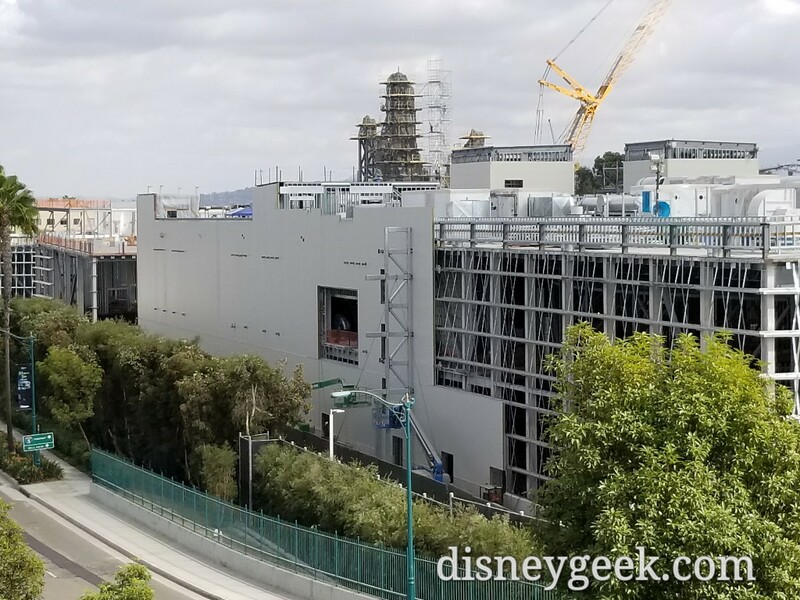 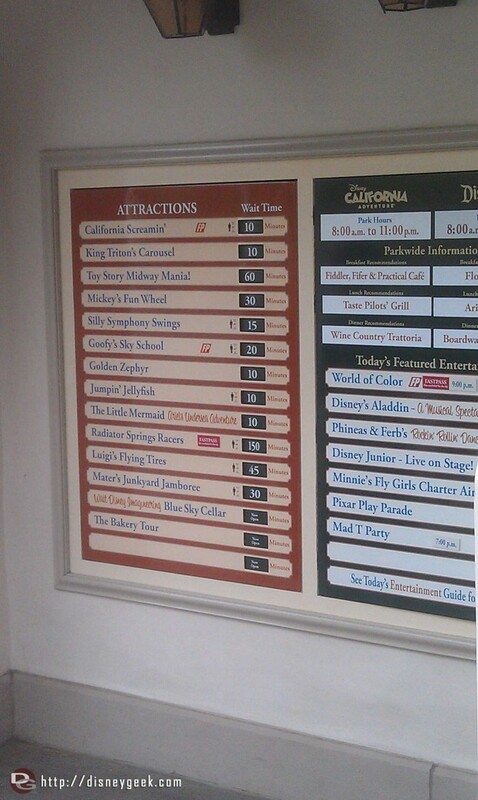 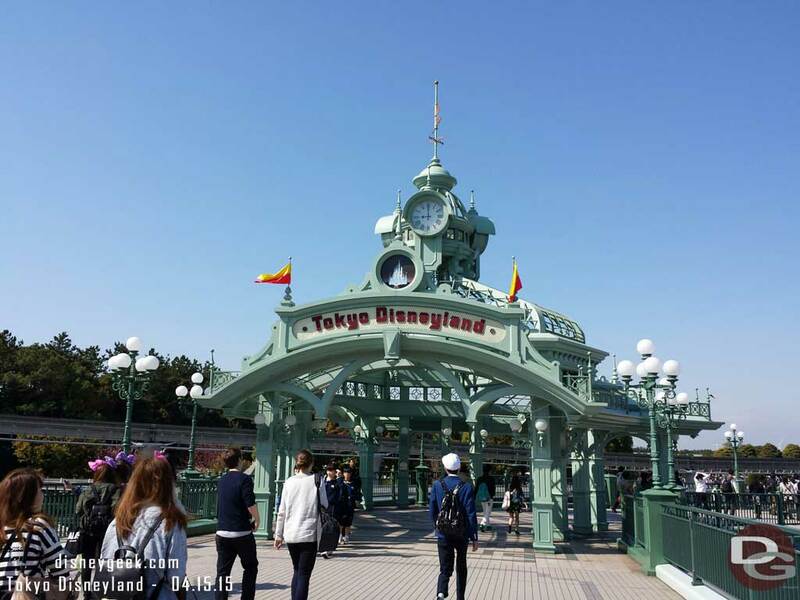 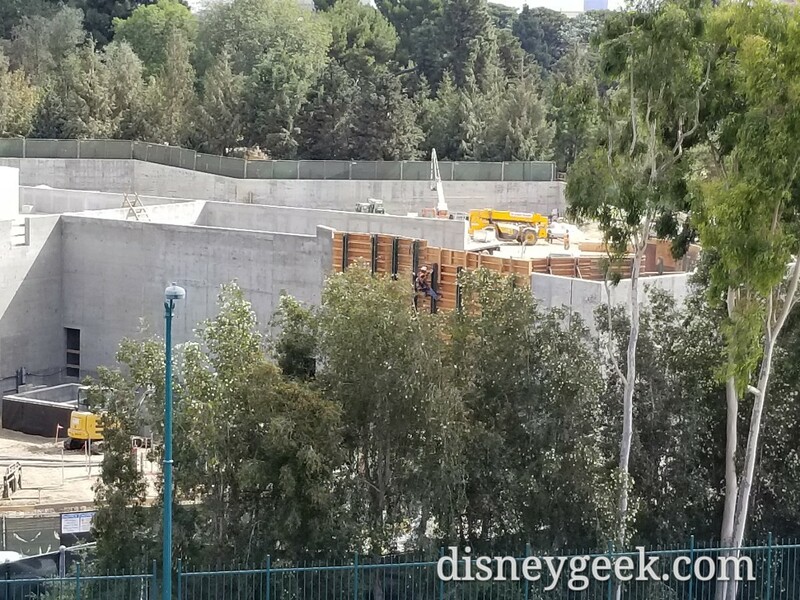 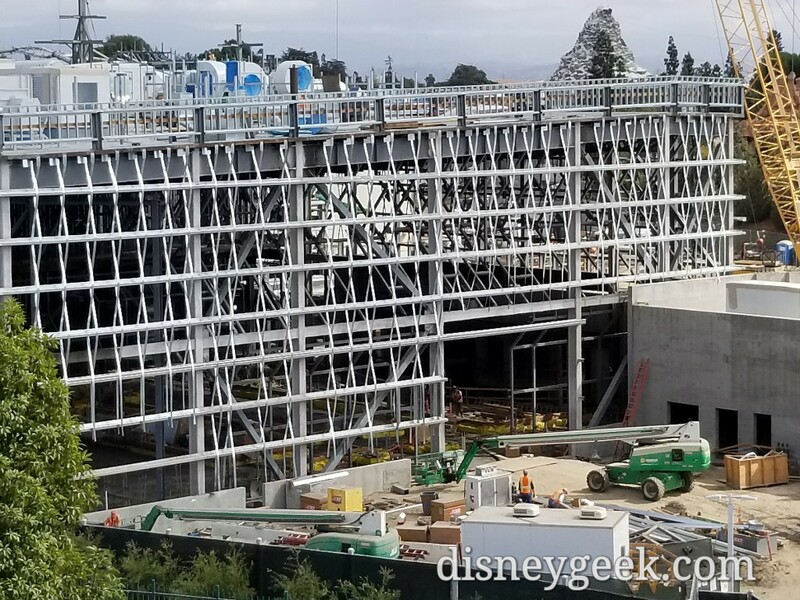 On the side parallel to Disneyland Drive the exterior siding/wall continues to be installed. 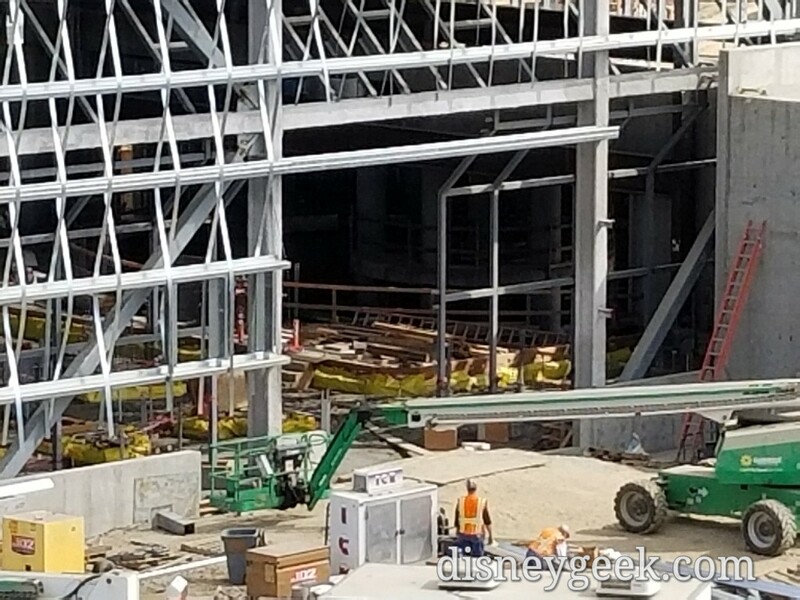 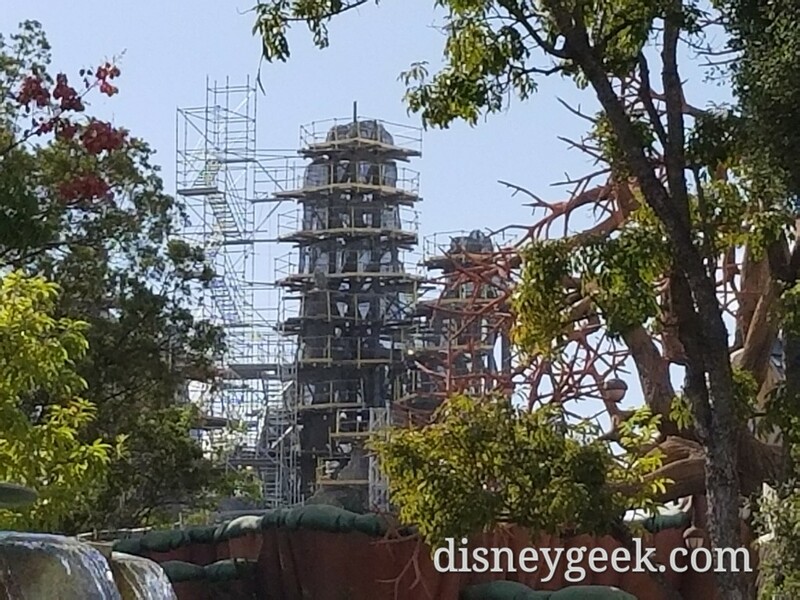 Also looks like steel for a fire escape/stairs is being installed. 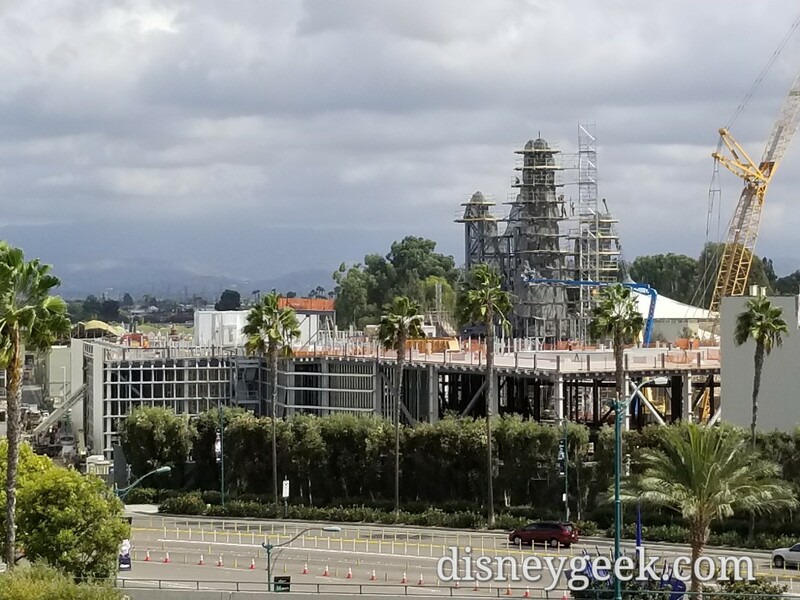 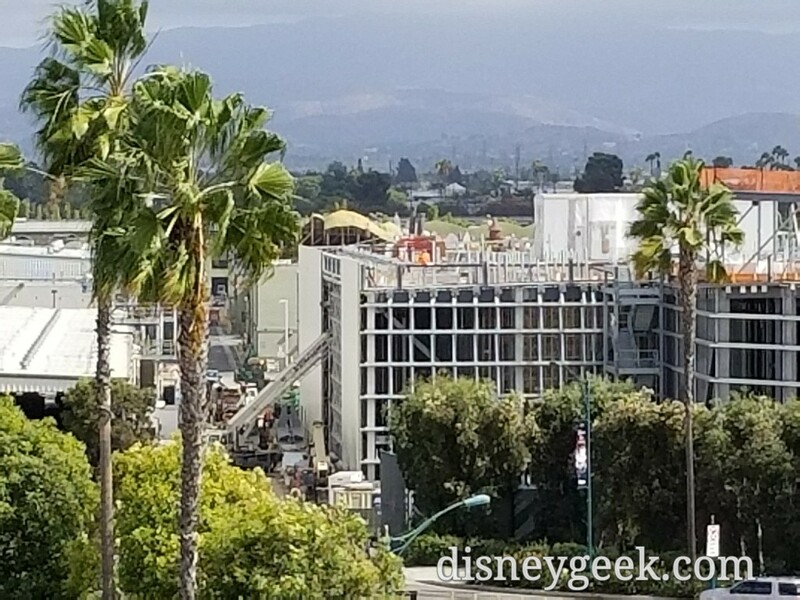 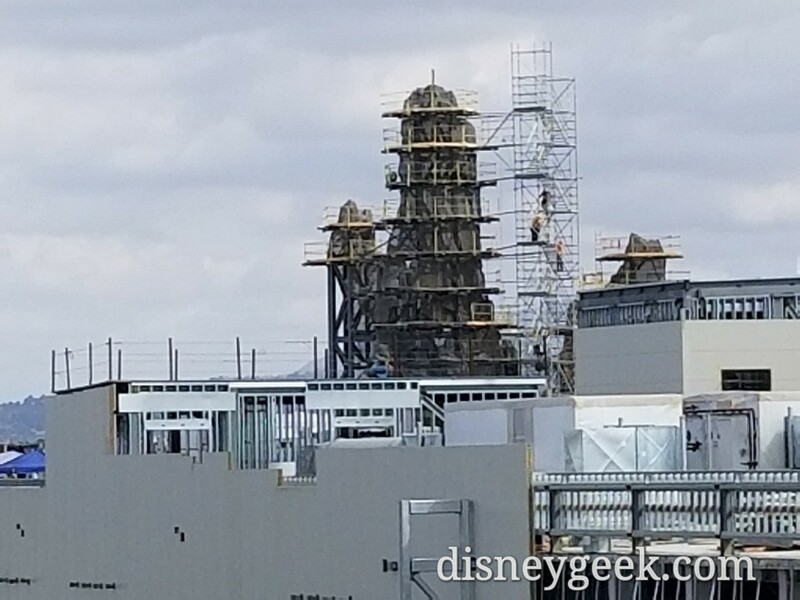 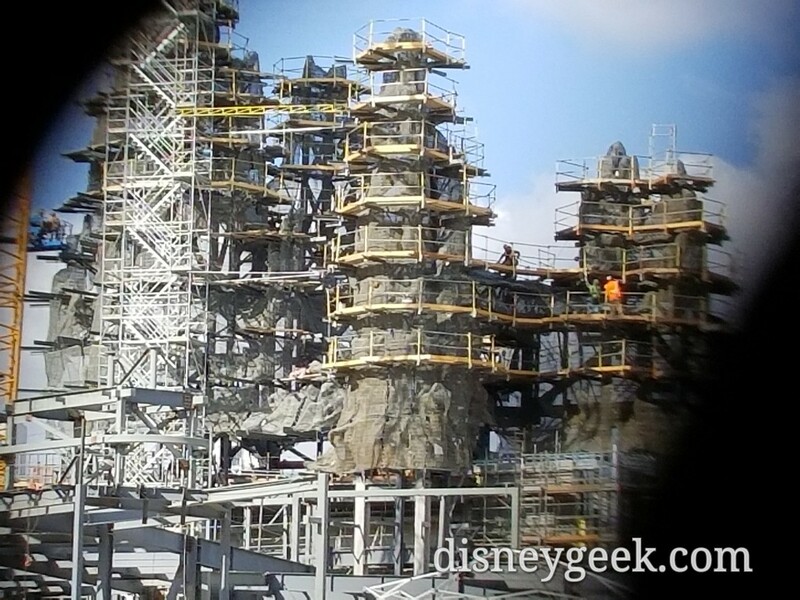 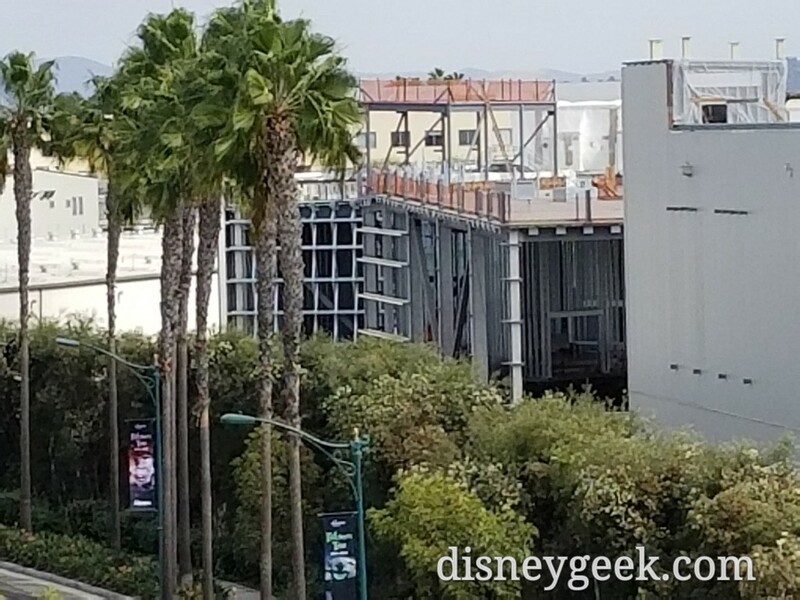 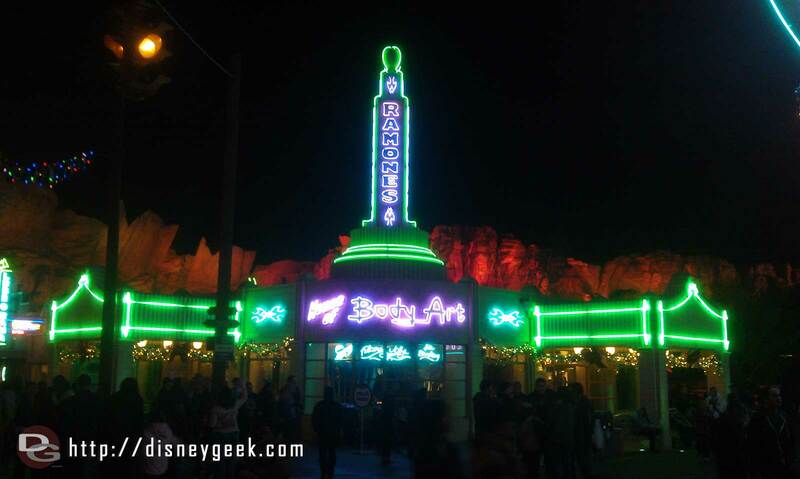 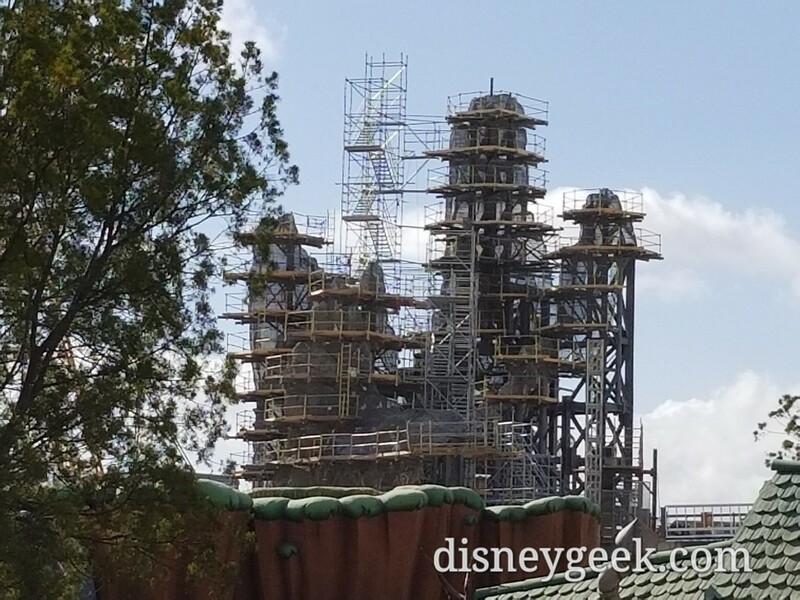 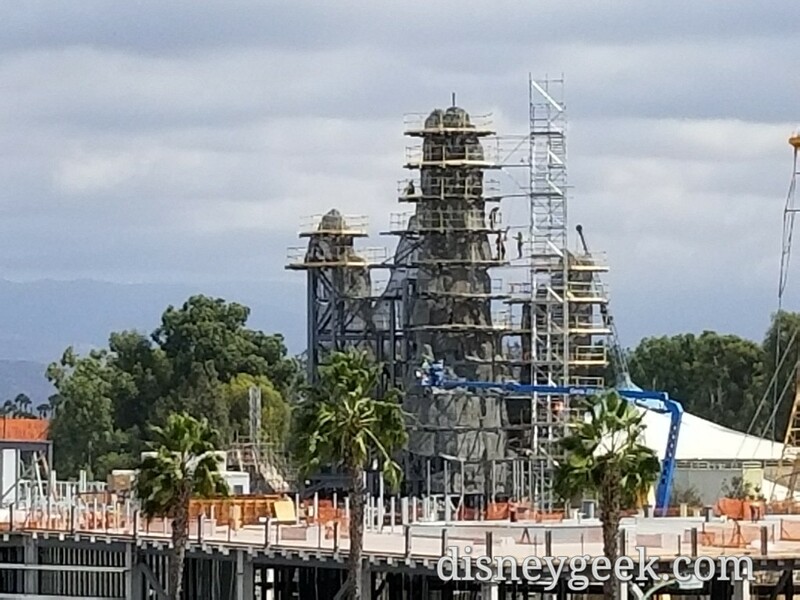 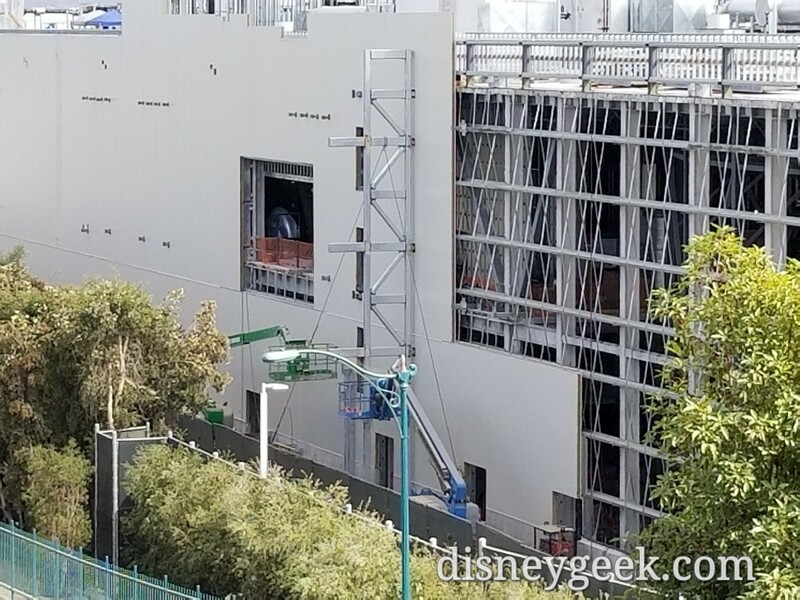 Exterior wall is being installed on the Millennium Falcon building too. 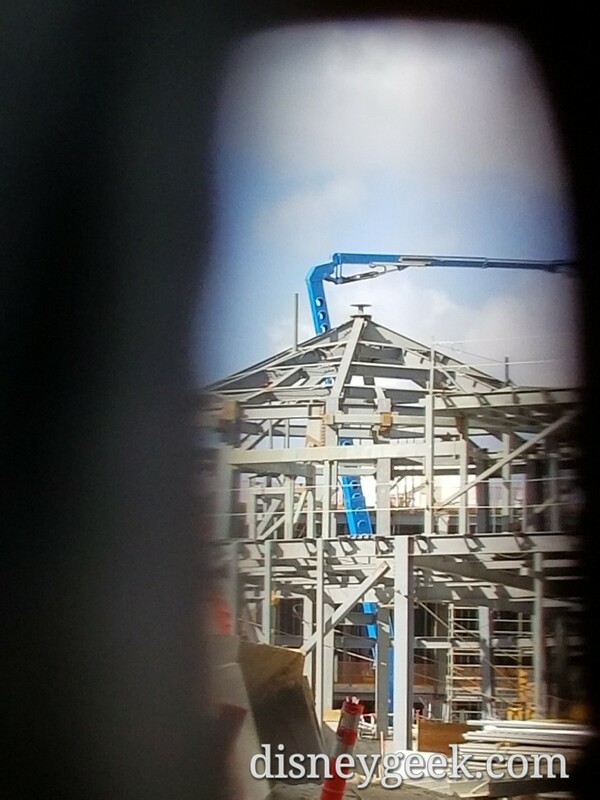 Note the crane is extended into the building. 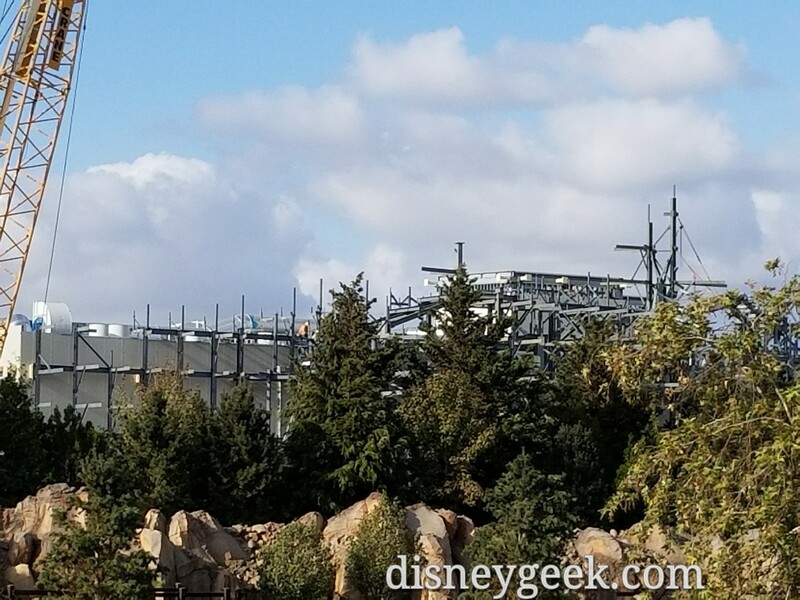 The mountains are really taking shape now as more wire mesh is added. 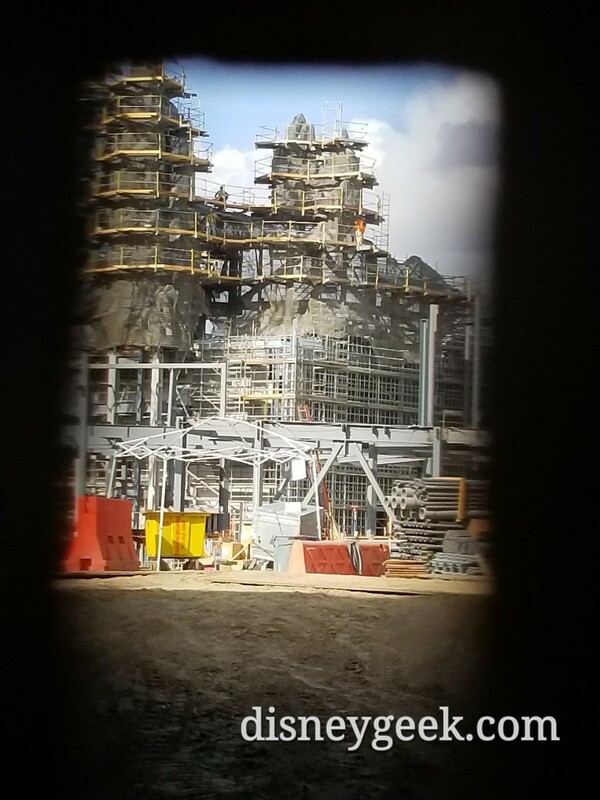 Looking through a crack in the fence from the Big Thunder Trail. 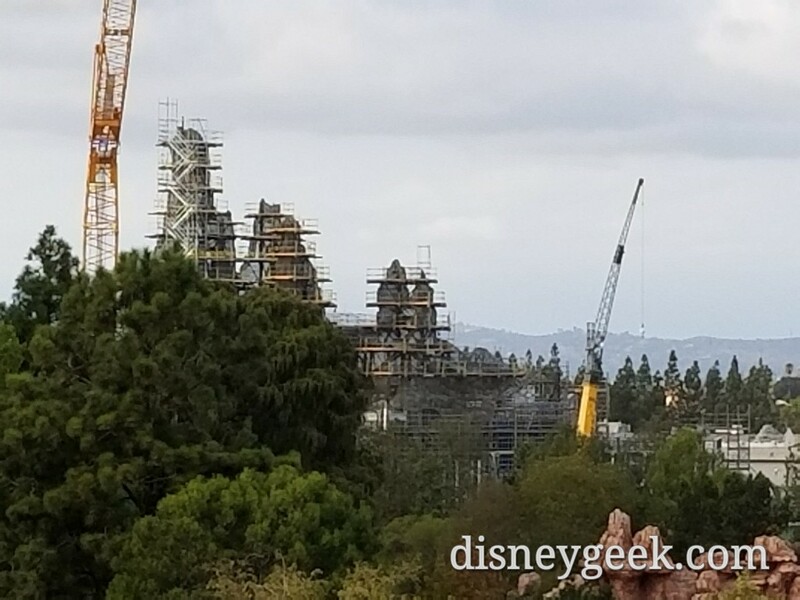 In the foreground the village are is starting to rise up. 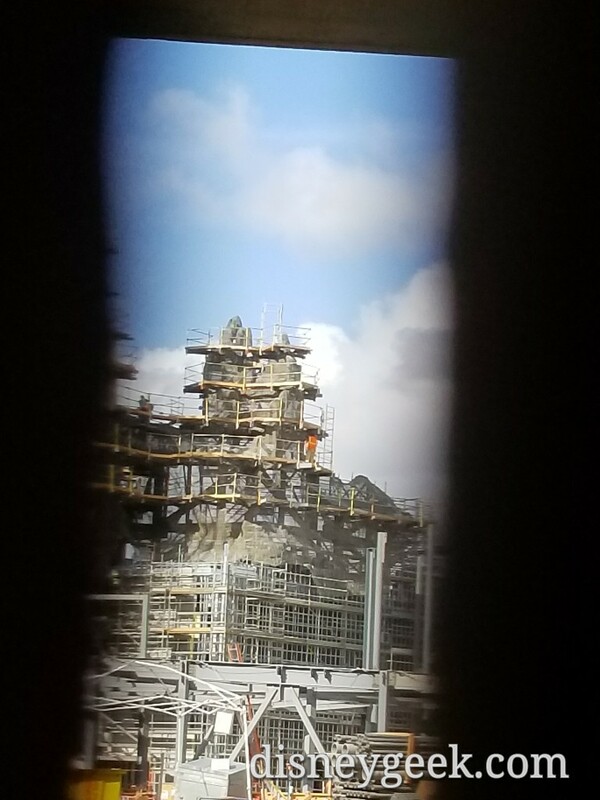 To the left another of the village buildings.